The Warhammer 40,000 universe finally gets another FPS outing in Space Hulk: Deathwing. 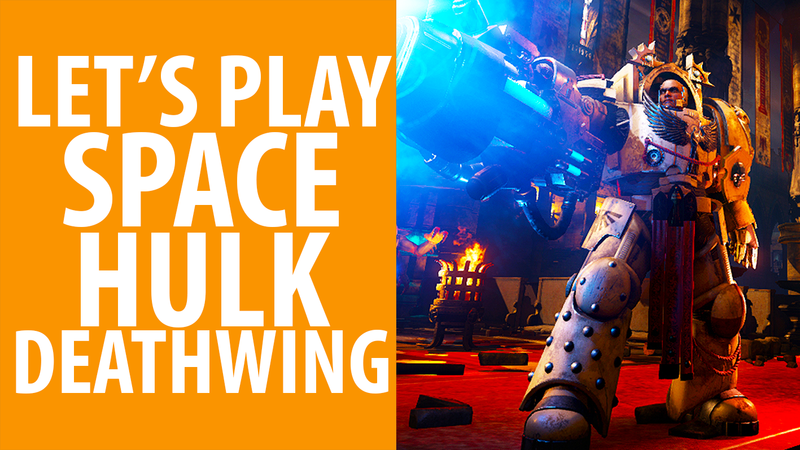 Armed with a collection of half-forgotten 40k lore facts (forgive us, it’s been a while since we read a codex), two of PCGN’s brightest shooter fans decide to take a tour of Streum On Studio’s tactical Space Marine game. Join us as we strap Phil and Matt into Terminator power armour and fire them into the side of a massive spaceship. As you do. Looking for a really great time? Check out the best games of 2016. After completing a brisk Adeptus Astartes intensive training course (largely consisting of punching walls), Phil and Matt take command of a Pysker Librarian and lead a team of slightly dippy Terminators through the corridors of a long-dead space hulk. And boy, are there a lot of corridors in this thing. Many of them are rusty, quite a few of them are coated in gore, and there’s the odd bit of gothic sculpture to admire. Oh, and the dozens and dozens of hideous, blood-thirsty Tyranid Genestealers that are coming out of the walls. Did we not mention them? If you fancy getting more reliable visual and vox communications direct from our chapter house, you need only subscribe to the PCGamesN YouTube channel. Clicking that only contracts you to watch our videos for as little or as long as you want. Don’t worry, we won’t sacrifice your soul to the God Emperor.